Find more than 200 quick, easy, and effective ways to feel more energized all day long in this handy, take-anywhere guide in the popular 5-Minutes series. Work, family, volunteering, socializing—people today are busier than ever. Who couldn’t use a boost of energy to help you keep up with all those obligations and activities? With these 200+ simple, yet effective, exercises, you’ll find ways to instantly increase your energy to take on the day—from feeling more alert in the morning, to staving off the dreaded afternoon slump, to having enough momentum left over for the evening while still winding down for a restful night’s sleep. With fun exercises including striking up a conversation with a stranger, setting positive intentions, dancing while making dinner, and trying something new every day, you’ll find yourself tackling your to-do list with new drive! 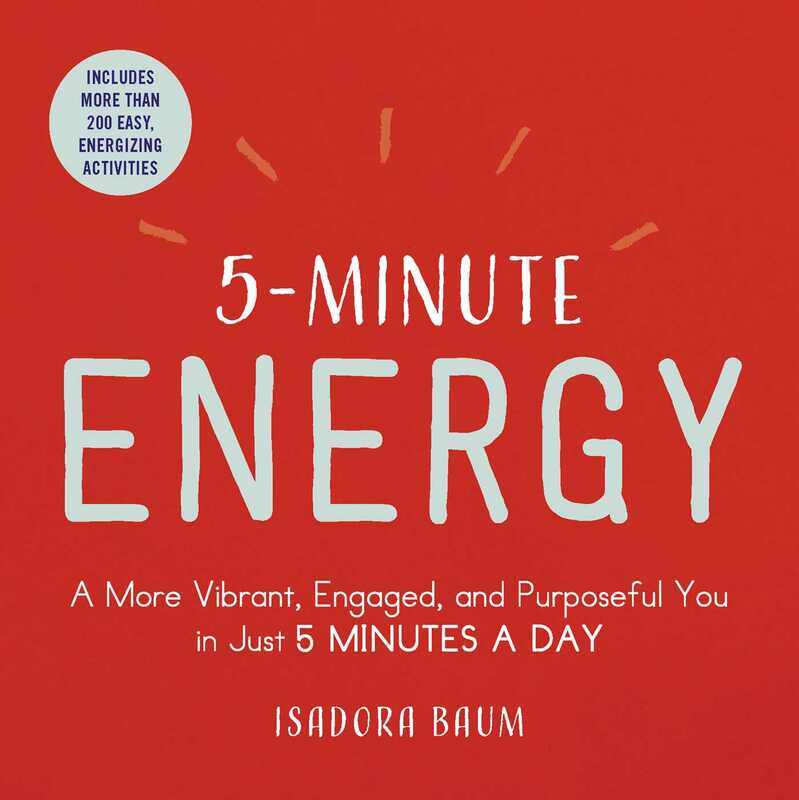 Isadora Baum is a certified health coach who loves trying new health foods, coaching clients towards achieving their goals, and writing creatively. She has written for Bustle, SHAPE, Men’s Health, Women’s Health, PopSugar, Reader’s Digest, Runner’s World, Prevention, and more. She can’t resist a sample, a glass of red wine or a good margarita, a new HIIT class, French macarons, and an easy laugh. "This book is packed with more than 200 easy, energizing activities to help a loved one get their mojo back, even on the days when they feel completely drained."